When you work at Jenny Craig, you're part of an organisation that literally changes people's lives for the better. When you work at Jenny Craig, you’re part of an organisation that changes people’s lives. Whether you’re working directly with our clients or supporting our team from Head Office, you play a pivotal role in helping people to achieve their goals. Our employees know that what they do matters. That together, we change lives, one at a time! We are always looking for people that can contribute to our team with their unique ideas, experiences and passion. Knowing that what you do each day contributes to making another person’s life better is a reward in itself. 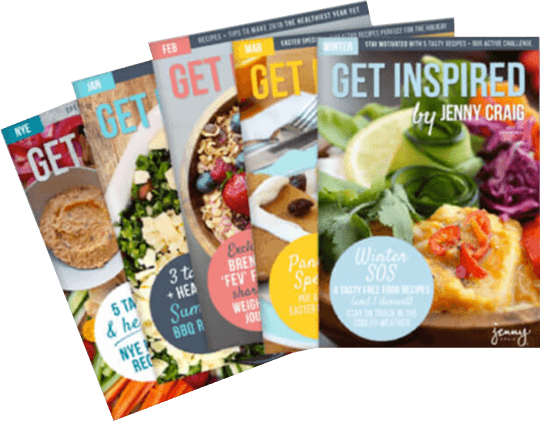 Take part in Jenny Craig’s wellness program, enjoy discounted Jenny Craig products as well as a number of other great benefit programs. Stay motivated with ongoing training, professional development, reward and recognition programs. The role of the Weight Loss Consultant is to provide support and coaching to help clients gain the skills and knowledge to change their lifestyle and achieve and maintain their weight loss goal. The Centre Leader has a key role to play in coaching all centre staff to ensure that they maximise their effectiveness and that they are motivated and empowered to achieve the goals set for the centre. We offer many exciting career opportunities in fields such as Marketing, Human Resources, Finance, IT, Property, Supply Chain, Operations, Nutrition & Product Development. Find out how you can change lives at Jenny Craig. Didn’t find the opportunity you were looking for but think you’d be a great fit at Jenny Craig?